The Exchange, London Road, Twickenham. THE COST OF THE EVENING IS: £20. This includes a set of guided meditation MP3s which will be emailed to all participants for download. Many studies suggest that anxiety, depression, and chronic illness are on the increase in British teens. Given the emphasis on high achievement in our schools and the unique societal pressures that burden teens there is nothing more important than providing our youth with the skills they need to look after their wellbeing. Mindfulness is the art of observing our physical, emotional and mental experiences with deliberate, open and curious attention. It is a training that builds patience, kindness, concentration, calm, perseverance and acceptance. Most importantly mindfulness develops our capacity to respond to life’s demands instead of getting caught in knee jerk reactions. Students who have taken part in a mindfulness course report less stress, enhanced relationships with parents and peers, better concentration in lessons and fewer sleep disturbances. 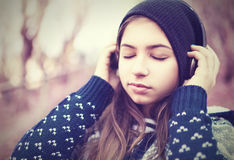 There is a growing body of research on the benefits of mindfulness meditation with young people but current research on adults suggests that mindfulness: increases immune function, significantly reduces stress levels, reduces the ruminative thinking that leads to anxiety, and depression, strengthens emotional resilience, and stimulates creativity. This introductory class will include 3 different meditations, some interactive teaching and plenty of time to ask questions. Students will leave with a better sense of what mindfulness is and how it can be woven into their lives in meaningful ways. Please contact Andrea to find out more about this class or to book a place.